This master is for the 14 track version with all tracks performed by The Beatles. A similarly titled 12-track soundtrack album was compiled by Capitol in the U.S.A. which consisted of seven Beatle tracks and five instrumentals performed by George Martin & his Orchestra. 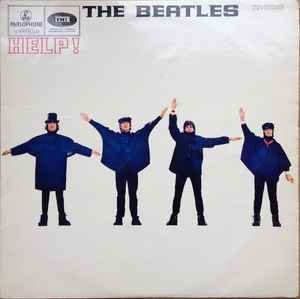 For the 12- track soundtrack version see The Beatles - Help! (Original Motion Picture Soundtrack).